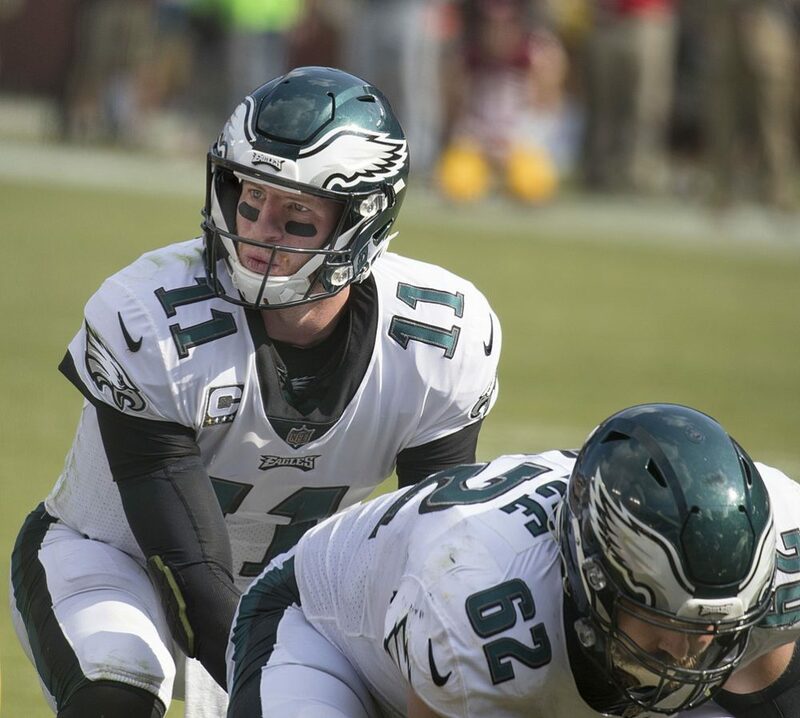 Carson Wentz’s ACL injury led to more than one horror story for fantasy owners. Ghosts. Vampires. Losing in fantasy sports. These are some of the common themes of scary stories every Halloween season. Well, the last one might be a bit of a stretch, but here at The Spectrum, we have some fantasy stories that still haunt us to this day. It was the spring of 2017, and I was in the midst of another fantasy basketball playoff appearance. I was the seventh seeded team, and I upset the second seed in the first round. My team was white hot going into the semifinals, and the score was too close to call going into the final day of the matchup. I woke up that Sunday morning feeling hopeful, but by the time I went to sleep, I fully understood the concept that hope only increases the pain of my failures. It’s when my hopes are the highest that I fall the hardest. The scoring format of this basketball league is based on categories. There are 10 total categories, and the team that wins the most categories advances. If both teams tie in any given category, the category is won by the home team, which is the high seed in playoff matchups. My opponent and I recorded the same number of double-doubles, which resulted in a victory for his team. That made the final score a 5-5 tie. What’s the tiebreaker in the case of a tie, you ask? Well, the home team advances, of course. So in a league with ties, I would have won the matchup 5-4-1, or at least had a chance at a tiebreaker category, but instead I was knocked out. I would go on to get decimated in the third place matchup in the next round to the eighth seed. This somber moment in my life still fills me with bitterness and dread, and I can only hope that it fuels my vengeance. There is always that one guy who annoys the league. Last season, that guy had somehow gone from the worst in the league to having the best record of the regular season. He can thank the Saints for using two running backs a lot for that. He rode into the playoffs on the arm of Prince Harry, aka Carson Wentz. 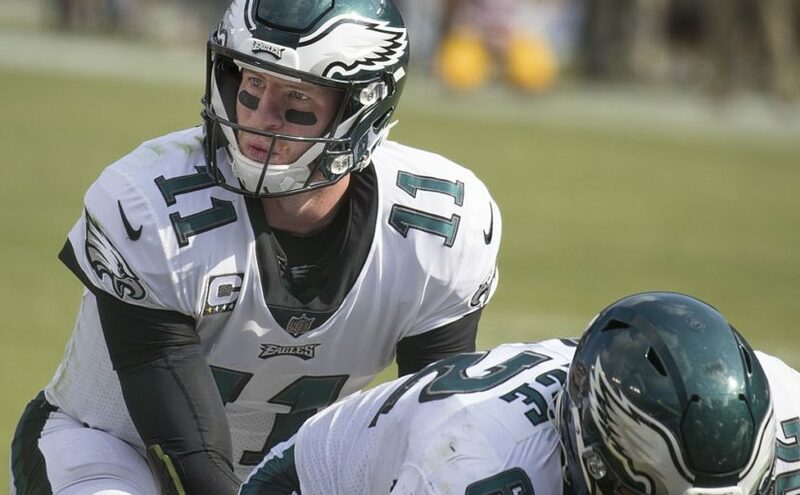 However, the week of the quarterfinals, Wentz went down with an ACL injury. New York Jets quarterback Josh McCown was the next man up, for all of about two hours before sustaining his own season-ending injury. Now, the No. 1 seed in the league doesn’t have a healthy quarterback on the roster. More importantly, he is the last person on the waiver wire order that week. The next two days are spent with the other 11 league members going through who to pick up. Everyone put in claims for the most likely waiver adds at quarterback first. Then, it became a clean house deal on all quarterbacks. I went so far as to having four quarterbacks on my roster. We even went so far as to pick up Nathan Peterman, who had only thrown five picks up to this point. By the time the deed was done, there were no quarterbacks available who had a projected score for the week. Don’t worry; the guy got a quarterback in a trade deal. Russell Wilson, in fact, who scored all of three points that week. Or at least the Ebony Maw quote would have been more accurate than the text I got to set this whole thing off. Now before getting into the details, it is important to understand that the league I am in can best be described as a meme league. Our league commissioner title changes hands to the prior season’s champion, and he has the final say. But, to have some sort of order, I also hold League Manager powers, since the commish couldn’t be bothered half the time. And so with great power comes great responsibility to use it improperly. So my phone lights up from the guy who is sitting dead last in the league and is staring an 0-5 start down, barring a 37-point game from Drew Brees on Monday. I tell him I will think about it, but I didn’t want to. He persists, and I text the commissioner, hoping he would put an end to it. He didn’t. In fact, he supports the idea. Well, he runs the league after all. So then the first guy and I set through how all of this would work. The next morning, once rosters were unlocked, I would go through and drop all the benches. We would leave it for a day, and then I would go back and fix everything. I did, it was annoying, and I am still owed a root beer for my efforts.